Blue mitt with thumb. The structure of the ultra fine fibres and the natural static charge inherent to synthetic products enables the Dusting Mitt to attract and trap dust and dirt more efficiently than cotton. WHERE TO USE: Anywhere that requires dusting! For example: blinds, fans, banisters, vehicle dashboards, tops of cupboards, lamps, screens etc. HOW TO USE: Use dry for most surfaces. Can be used wet as a large body glove or for cleaning car surfaces. 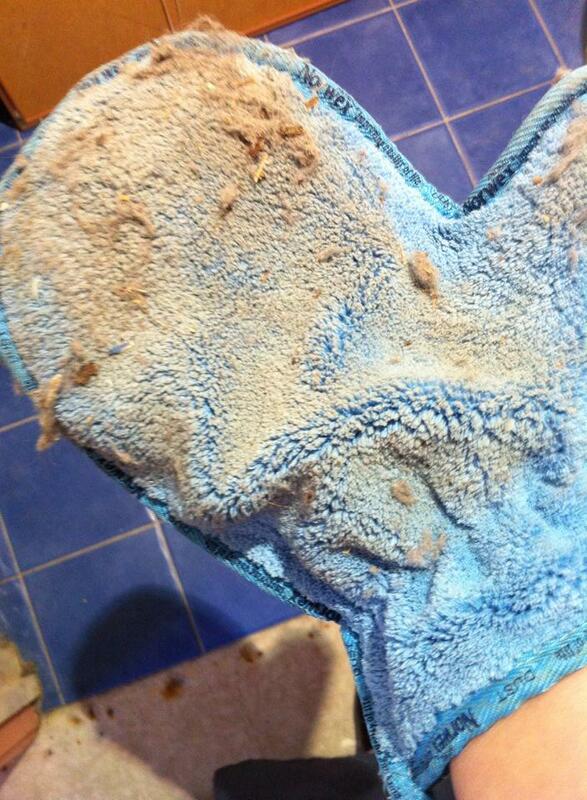 It is great for cleaning air conditioners – vacuum heavy dust and follow with damp Dusting Mitt. ← Best Ever Mop Instructions – Dry Mop, Wet Mop – What to Use Where? Kirsten, nice writeup. It helped me to write an article. Good for the dry surface but when we use it for wet cleaning?